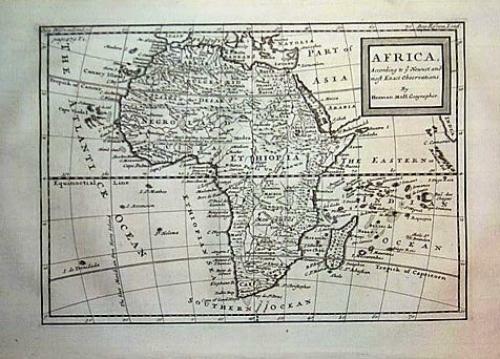 Title: 'Africa According to Ye Newest and Most Exact Observations. By Herman Moll, Geographer'. The map is in very good condition with a dark impression on hand laid paper.